Liquid Caffeine™ Concentrate (formerly 5150 Juice) should be used with extreme care. Liquid Caffeine is an unsweetened, unflavored caffeine concentrate that is intended to turn any drink into an energy drink. It should never be consumed straight and is listed as our 2nd most danergous caffeinated product. The Gallon jug contains 64,000mg of caffeine or 128, 1 floz 500mg shots. 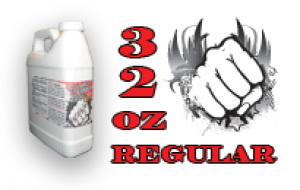 The 32 oz jug contains 16,000mg of caffeine or 32, 1 floz 500mg shots. The 16 floz. size jug contains 8,000mg of caffeine or 16, 1 floz 500mg shots. Pure Liquid caffeine is also sold in a Sweet version with slightly less caffeine per fluid ounce at 475mg. Warning: Be careful to measure this product carefully! Pure Liquid Caffeine is not suitable for minors or those sensitive to caffeine and should be used only by healthy adults who understand how to measure properly. Water, Caffeine: 500mg , and Sodium Benzoate (preserves the freshness). How Does Liquid Caffeine Compare? Liquid Caffeine contains 500.00 mgs of caffeine per fluid ounce (1690.70mg/100 ml).